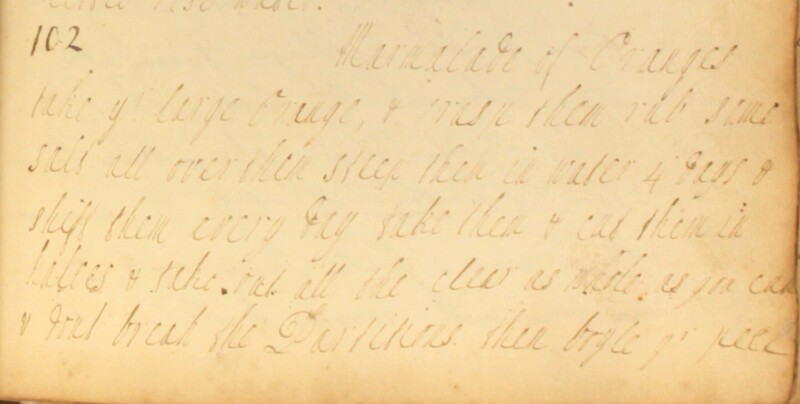 This entry was posted in 18th century recipes, Cookbook recipes and tagged 18th century cookery, marmalade, oranges, preserving, Seville oranges. Bookmark the permalink. I do love marmalade. Not sure I’m ready to attempt this recipe though. Thanks for posting.